Halloween time is upon us, and whether you’re going to a party with friends or out trick-or-treating with the littles, you’ve gotta dress up. Though, finding the perfect costume is not an easy feat, or a cheap one for that matter. 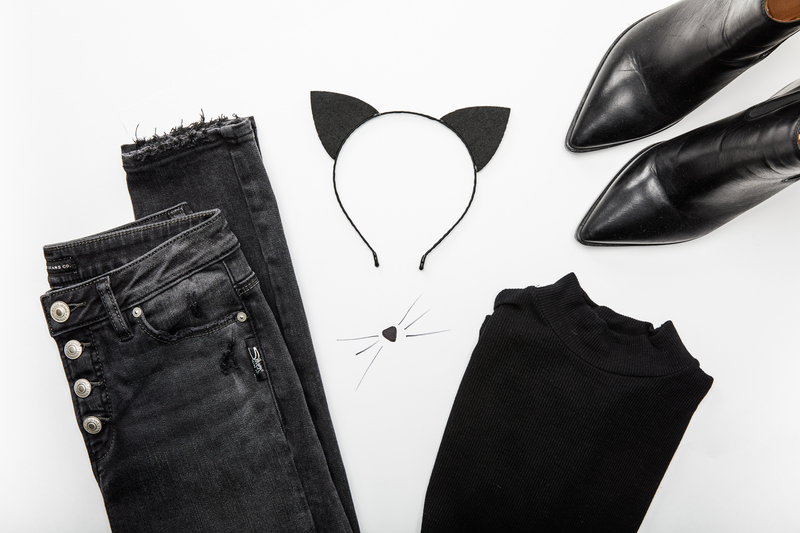 So we’ve rounded up some easy DIY Halloween costumes that you can make from your very own closet with our favorite new denim for fall. This character from the cult movie Pulp Fiction is a serious icon, and her look is so easy to replicate! All you need is our black Robson high-rise jeggings, an oversized white button-down, red lipstick and black slides. The finishing touch? A short black wig with bangs if you have one. If you’re one to wait until the last minute, this is a super-easy option that never gets old. Pair our black Robson with a black bodysuit, cat ears and sleek black boots and voila–you’re dressed and ready for the night. Pro tip: use black eyeliner to draw a nose and whiskers to complete the look. This classic film duo is the perfect Halloween costume for you and your BFF. All you’ll need is our vintage fit Frisco teamed with a white tank or muscle band tee, a cool belt, bandana and cat eye sunglasses. Now all you’re missing is the crazy road trip. 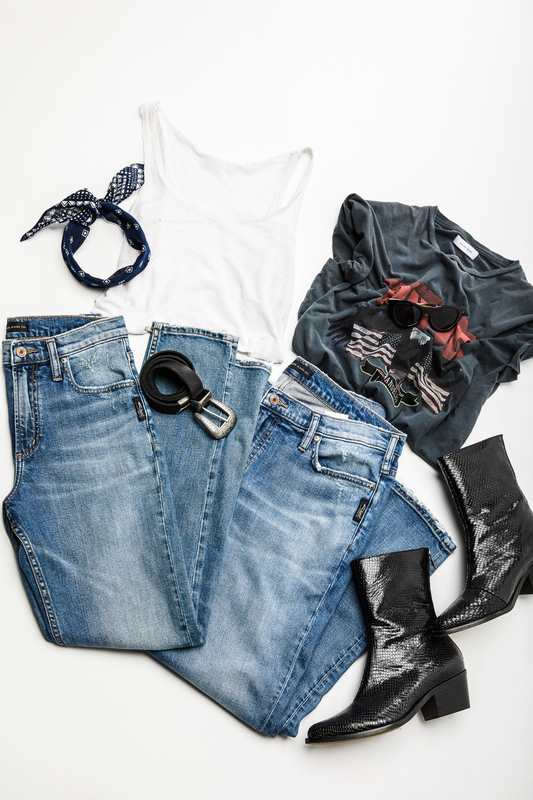 We love a good denim on denim look, and Rosie the Riveter has to be one of our favorites. 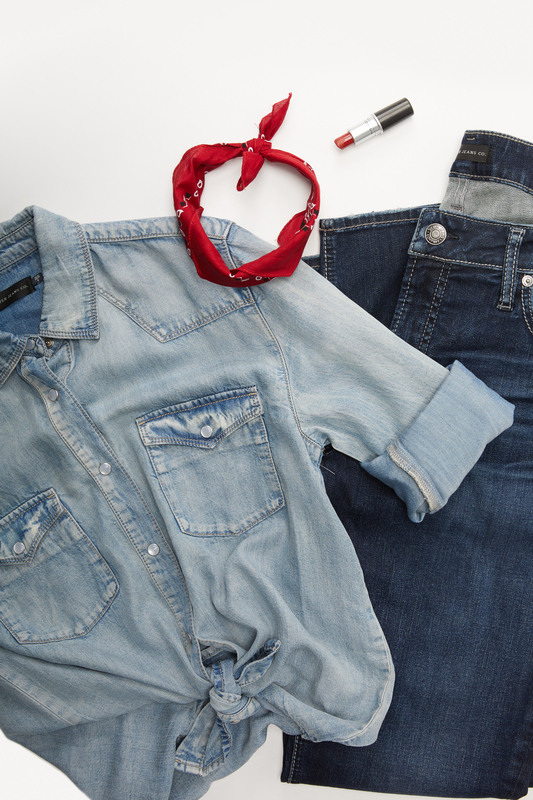 Pair our dark wash Elyse Skinny with a chambray top with rolled-up sleeves, then finish the look with a red bandana as a headband. I’m sure we all had dreams of becoming a rock star, so dressing like one for Halloween is the next best thing! 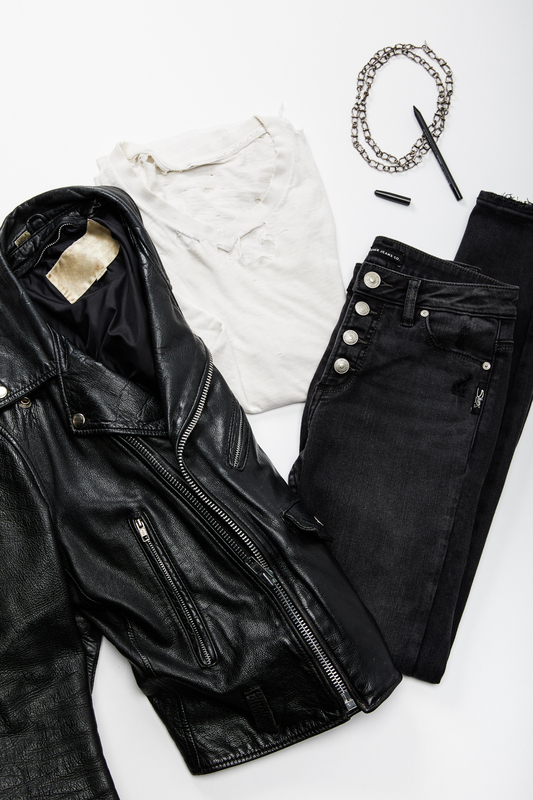 Channel Joan Jett’s iconic style with our black Robson jegging, a shredded tee, leather moto jacket and chains. A mullet wig and heavy black eyeliner will totally bring the costume full circle. This Halloween costume is super fun and so easy! 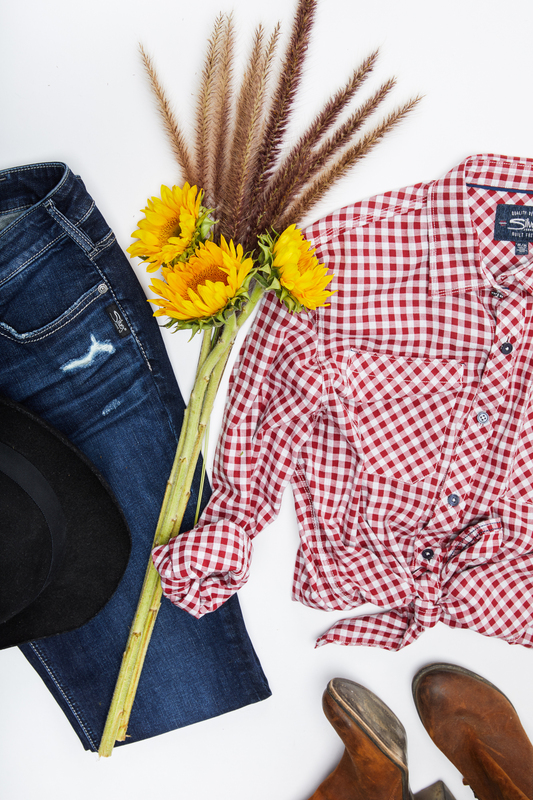 All you’ll need is a plaid shirt, floppy felt hat, worn-in boots and our Elyse dark-wash skinny. Add in some sunflowers and cattails to really give the look your all. Always an iconic, easy Halloween costume for guys, you really can’t go wrong with this one. 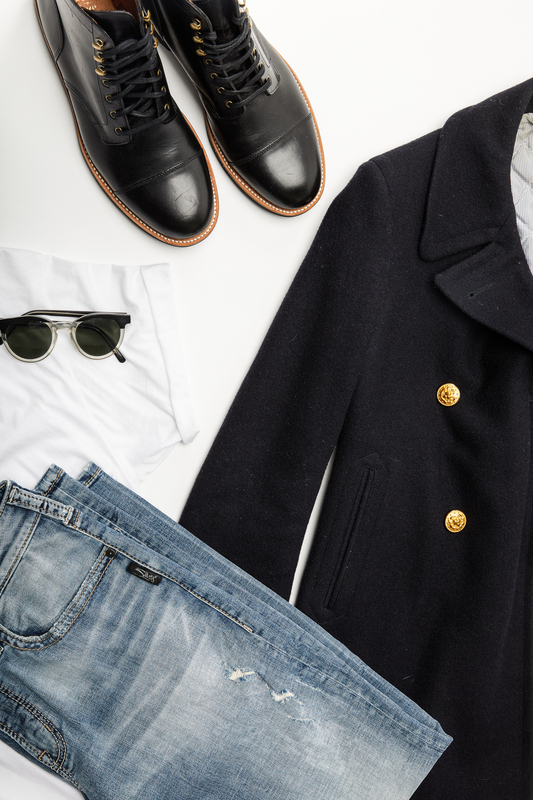 Just grab a white tee, cuff our relaxed straight Zac fit and throw on a pea coat and round vintage sunglasses. Finish the look with boots and you’ve nailed it. Never was there a CEO with a more iconic look. Team our Zac light wash jeans with a black turtleneck, white sneakers and round glasses and you’ll look just like you’re at the launch for the latest iPhone. 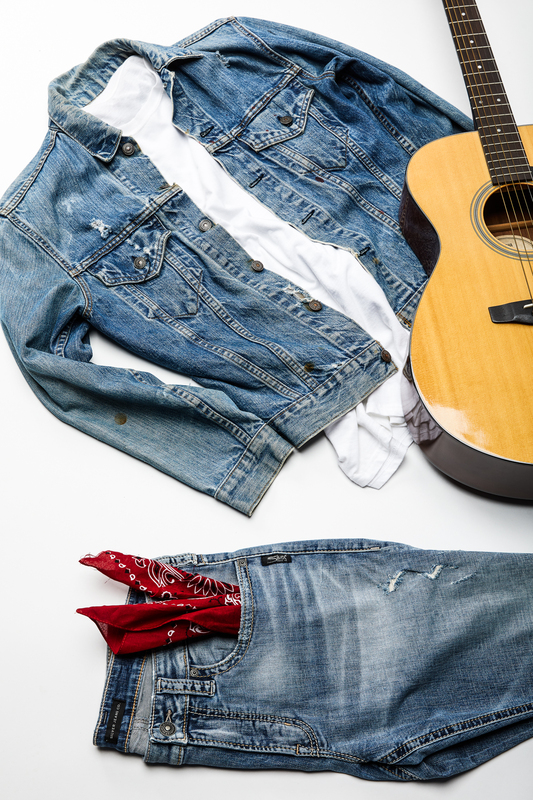 This classic American rockstar always makes a great halloween costume. Team our Zac relaxed straight fit with a denim jacket, red bandana and guitar for a classic look that everyone will instantly recognize. Have any other fun DIY denim Halloween costumes? Tell us in the comments, and make sure to tag all your #SilverJeans looks on Instagram!